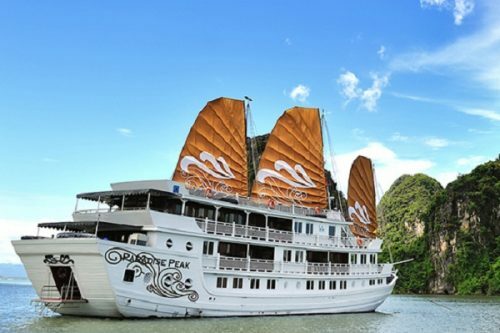 Designed in the mix of the traditional Vietnam and Western style along with modern facilities, Syrena Cruise owns luxury and comfort features under international standards. This ship consists of two large yachts with a total of 34 cabins that all are equipped with high-class interior. 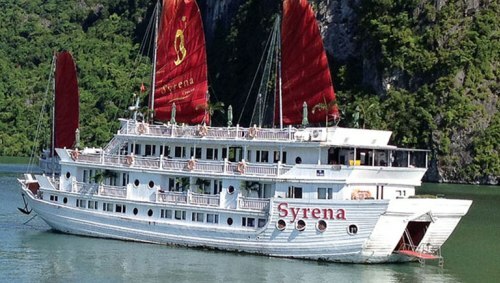 Having large rooms, Syrena can accommodate up to 68 passengers. 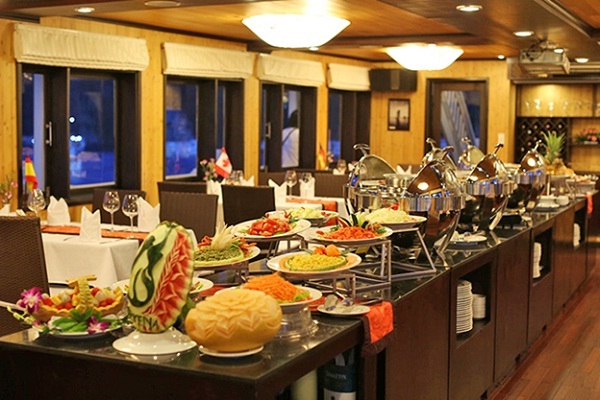 In addition, Syrena Cruise also provides various services to tourists visiting the Bay to relax, such as abundance: seminars, weddings, activities build team spirit of enterprise … etc. Please contact us to be provided more information about your trip. Afterward, we continue to the Tip Top Island. In that period of time, you will be served our package of Syrena services such as massage if you need. We also have a lot of activities on the board through the trip. As usual, kayaking is the most favorite program. Swimming, relaxing on the sundeck or climbing, taking photos are also supplied by Syrena Cruise. Another program is cooking on the sundeck that cannot be ignored. 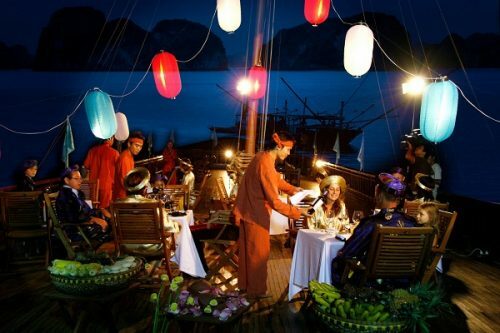 In the evening, dinner is served with variety of Vietnamese cuisine. 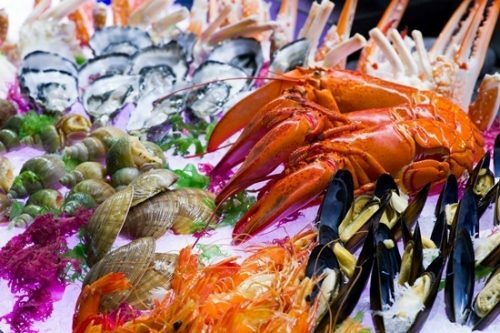 After dinner, there are some interesting activities for tourist wanting to part in such as film entertainment, squid fishing, etc. We will then cruise to overnight anchorage near Trong Cave or Tiptop Island and end of the program of the day. 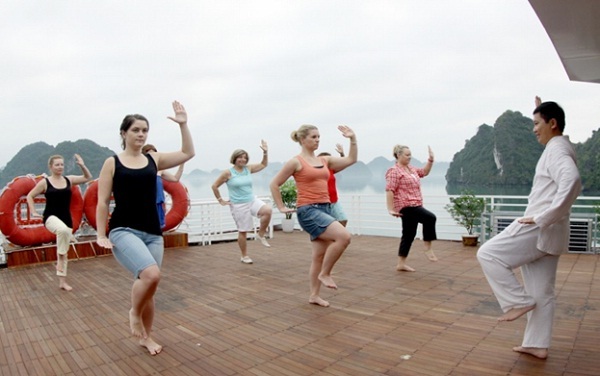 In the morning of the second day, you will start a new day with Tai Chi instruction on the sundeck in 30 minute. The breakfast is available with coffee, tea and pastries in the dinning room. Then, we will visit the rest of famous places including the most beautiful caves of Vietnam such as Sung Sot Cave, Trinh Nu Cave, Dau Go Cave, etc. From luxury cabins of Syrena Cruise, you can see peaceful beauty mixed of beach and sky that make your best spirit. After that, we back to the Syrena boat and end the whole journey.